Hi! I'm Mason. I have big ears, and I'm very photogenic. 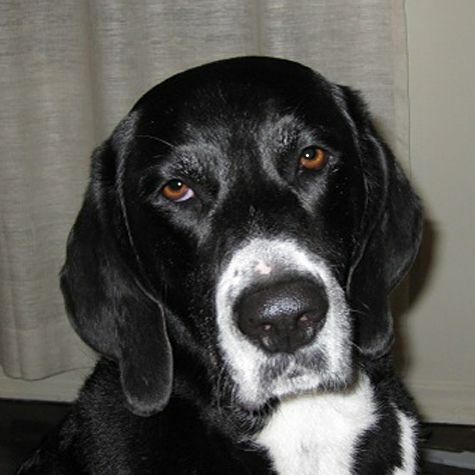 I am a male black Lab mix with white tips on my nose, paws, and tail. I don't know what breeds I'm mixed with, but I know my personality is all Labrador. I'm a great swimmer and probably the best ball fetcher in the world. I will do anything for a treat. That's why I love volunteering at the hospital. There I get hugs, pets, and treats from everyone. It's really the best job.